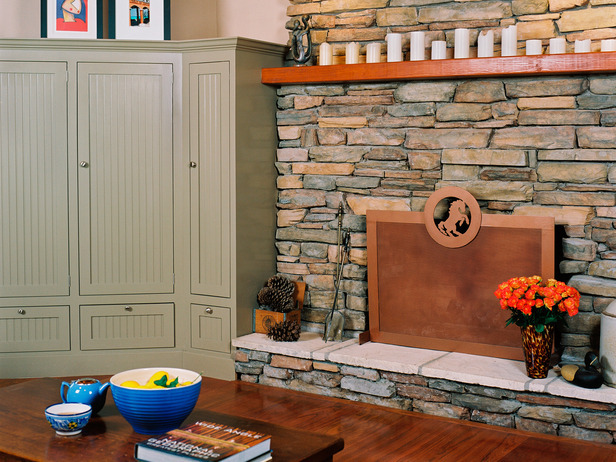 This cozy living room features a stacked stone fireplace and beadboard cabinetry for an inviting country-inspired style you’ll love. A cozy neutral couch comes alive with an array of pillows in various patterns. 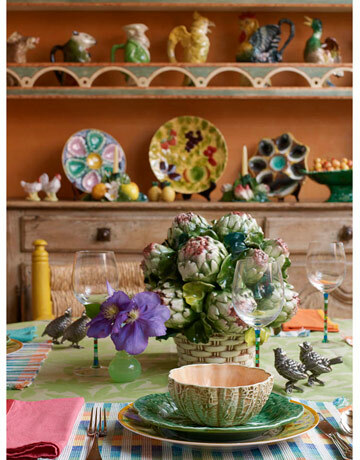 This country-inspired look is set off with pottery, lamps and other accessories. 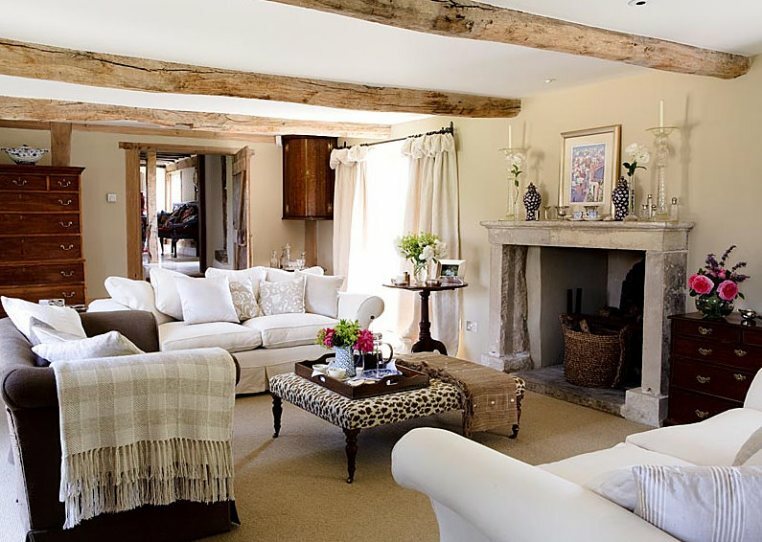 This living room features English country elements with exposed beams, crystal glassware and comfortable couches. The leopard print coffee table adds an eclectic touch that we love. This living room features a rustic stone fireplace, cozy window seats and a country farmhouse flair. New cabinets are made to look like old farmhouse style. 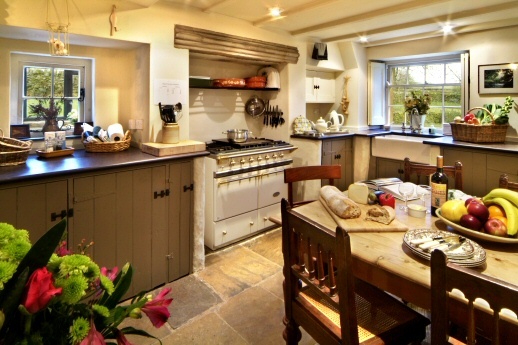 The country farmhouse table in this eat-in kitchen is perfect for a big family. 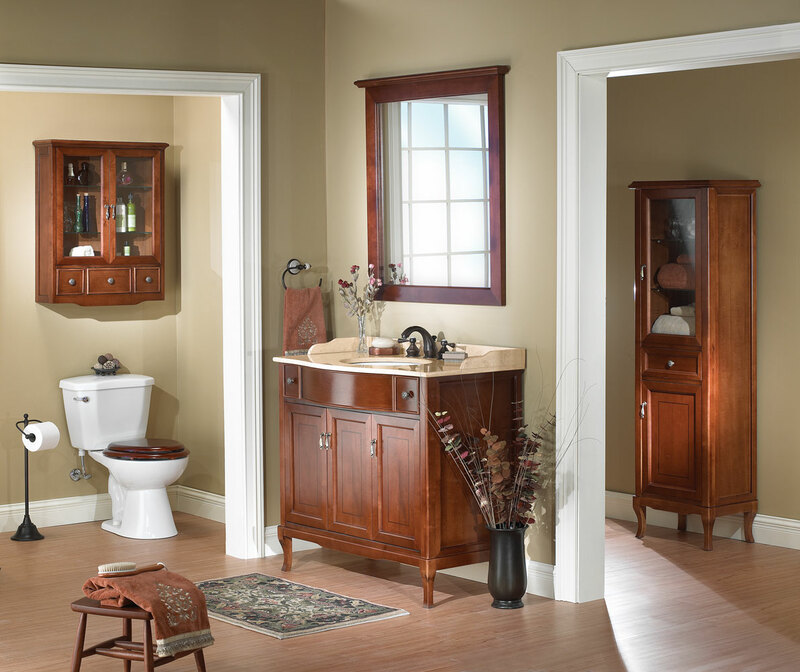 Italian country style features rich colors, patterns and designs. 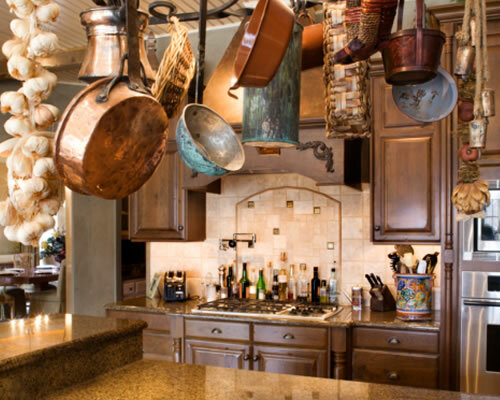 This Italian-style kitchen’s Old World elements makes you want to start cooking a big pot of sauce. 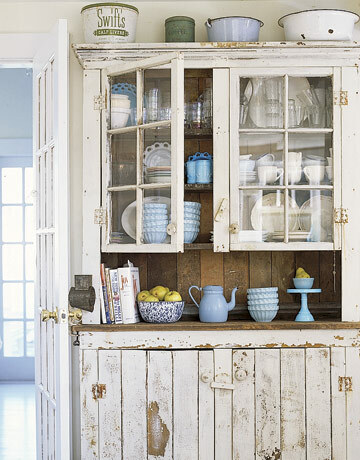 This 18th century French buffet is accented with colorful dishware and country-inspired pieces for a unique look that you’ll adore. 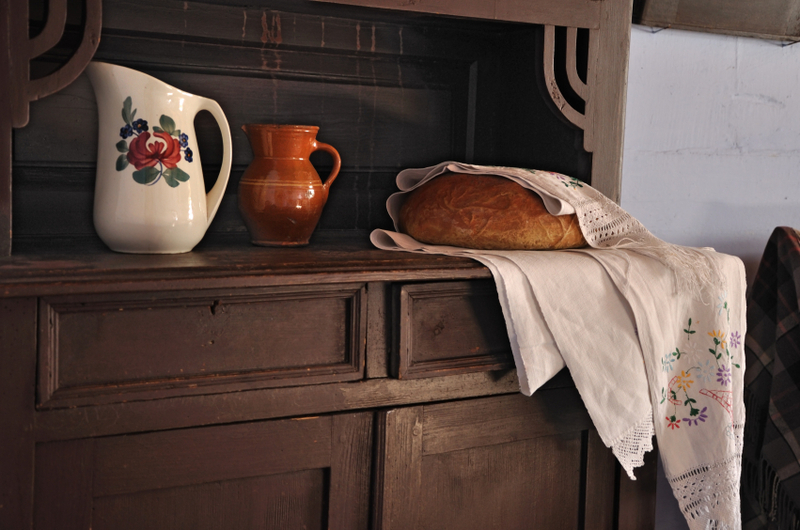 Vintage pottery and linens combined with an old country buffet table add a country-inspired look in any kitchen. Though the floral fabric and iron accessories are definitely country style, this room maintains a slightly modern look with its colorful accent wall. The delicate floral wallpaper, soft bedding and white iron bed frame provide an English country look that’s feminine and inviting. 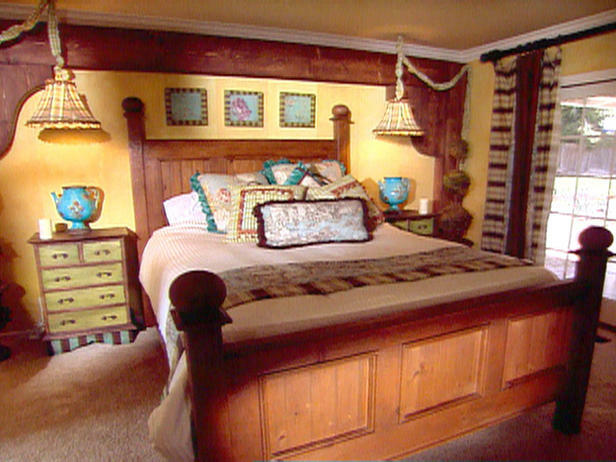 The solid wood bed frame and rich yellow walls make this French country bedroom come to life. 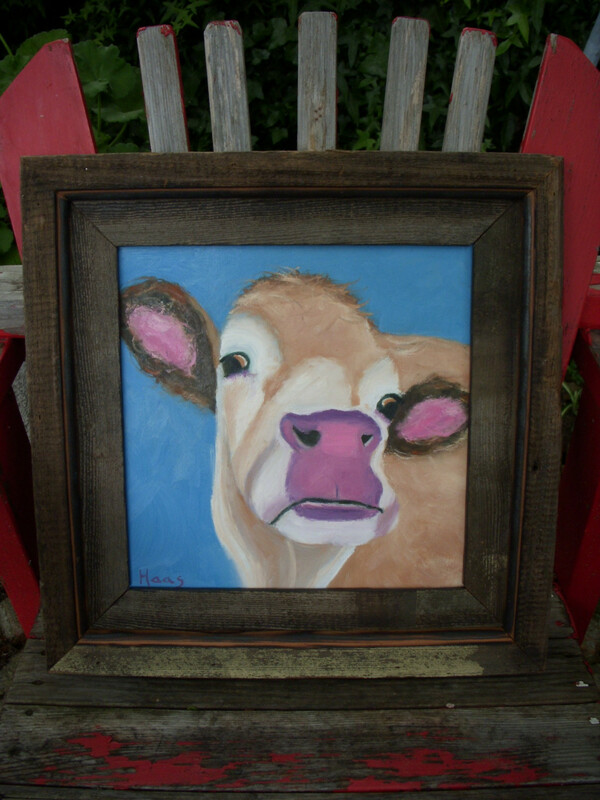 The blue pitchers, unique lamp shades and assortment of pillows finish off this look in country style. 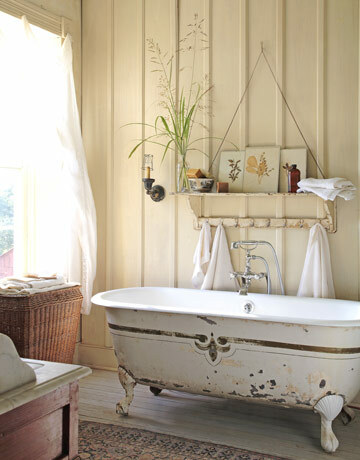 Beadboard walls give this bathroom a country cottage look that is simple and chic. 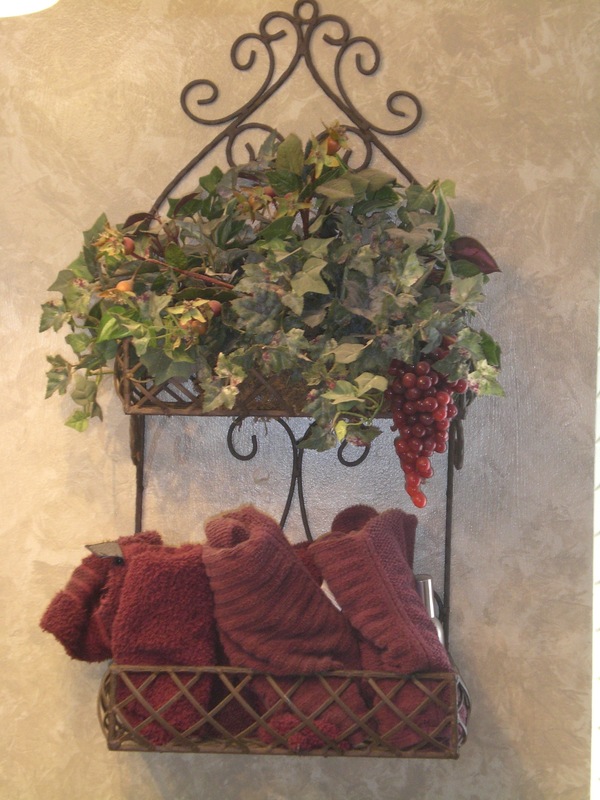 Small details, like this iron towel rack, can add a country-cool touch to your bathroom. 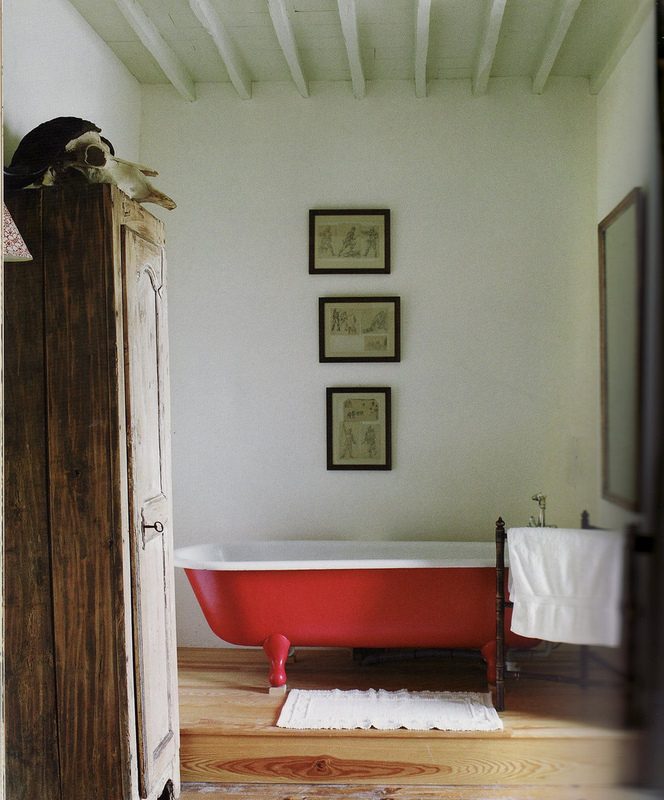 A rustic wood cabinet and free-standing bathtub create a country look to make this bathroom special, despite its small size. 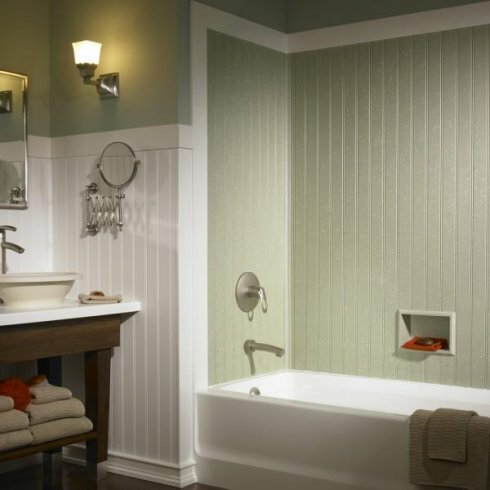 Your bathroom can still be modern and have a country-inspired look. The rich wood incorporated into this room is absolutely beautiful.